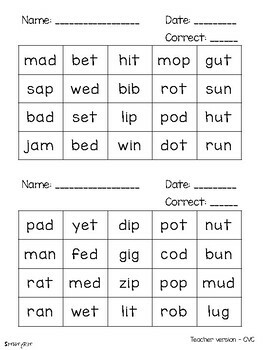 This product contains 5 different phonics skills: CVC, CCVC, CVCC, CCVCC, and digraphs. 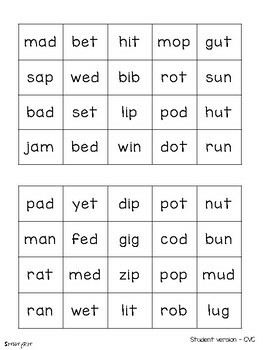 Each skill list has 40 words that are separated into two tables that allows for quick formative assessments. 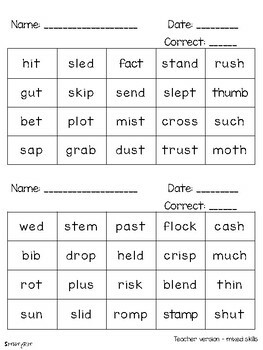 There is a student version that can be placed in a page protector to reuse and a teacher version for recording student responses. There is also an additional list that includes all 5 skills to fit your possible needs. 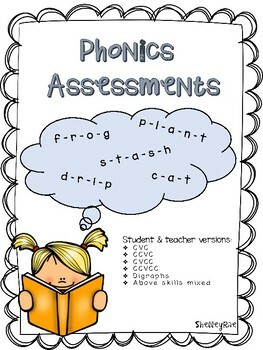 I hope you find this useful in checking student understanding, progress monitoring skills, and collecting data.